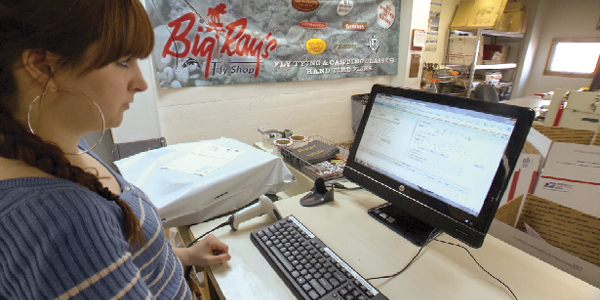 A Web-based shipping tool helps Classic Alaska Trading Company tame the wilds of its inventory and fulfillment operations. The roots of Anchorage, Alaska-based Classic Alaska Trading Company trace back to World War II, when two servicemen in the U.S. Army Signal Corps recognized Anchorage's potential as a market for military surplus cold weather gear. After the war, Glenn Miller and John McManamin, along with fellow veteran Howard Cruver, opened the Army/Navy Surplus Store, the progenitor of Classic Alaska, on Anchorage's 4th Avenue. For more than 60 years, the company has weathered the vicissitudes of Alaska's development, expanding to five Alaska locations—a second Anchorage Army/Navy; Big Ray's and a Web sales center in Fairbanks; and Mack's in Kodiak—that serve the needs of workers and families in the last frontier. By 2011, Classic Alaska had more than 100 employees and 40,000 product stockkeeping units. But as it looked to continue expanding in the 21st century, it recognized a significant barrier to growth: its shipping processes hadn't kept up with the times. The company faced a two-fold task: to streamline and automate its manually intensive shipping processes, and expand its Web-based business to reach more customers with its full array of products. Simplifying the implementation process. The system's back end is a robust Web service platform, with a front end that offers different templates, depending on the user profile—such as desktop user, mail center, and production shipper/retail operation. Eliminating multiple systems, and creating a focal point for analyzing shipping processes to make informed decisions. Providing upfront visibility to carrier surcharges, as well as address verification to help avoid or minimize unnecessary carrier fees. Automating internal business rules for control over shipping spend throughout the enterprise. Maximizing utilization and adoption by empowering both desktop and mobile workers to print ship request and shipping labels from wherever they log in. Monitoring transaction costs by carrier, and allocating billing to the sub-account level for departmental cost center or customer account tracking purposes. Integrating with a variety of CRM, ERP, warehouse, and order management systems to break down information silos and create a simple, error-proof process that gets the right shipment to the right person at the right time.